Here at Kolosek, we have a theory about startups and founders. Since it takes a lot of courage to pursue an idea and start a business, we think that every founder is a Superman. That's why you don't need startup name generators. Did you know that, according to Max Garrone from ideas.ted.com, investors make up their minds in 2.5 minutes whether they'll write a check to you or not? Based on what? Based on the first impression. Knowing that you basically have a minute to introduce yourself, tell company's name and what it's all about probably means that you have to have a killer name. And you don't need any tools, startup name generators. Just a little bit of imagination. If you don't think that naming your company is a big deal, let us clear things up - IT IS. Company's name should represent its mission, values, and services in the best way possible. Not only that, the name reflects your devotion to the company and, therefore, creates an emotional connection with the customers. It doesn't matter if you are business or customer oriented, you should spend some time coming up with an idea. Usually, B2C oriented companies try much harder to find an appropriate name, since they have to find their place in a (most likely) huge market, while the sales-driven companies depend on their partners, clients, and a team behind it. There are so many startups that changed their names and did a rebranding. Some in order to save the company and some because they were changing company's focus. And, if you are wondering - yes, startup name generators can help you, but they limit your creativity in a way. That's why we think that naming should be a team's decision and a product of a brainstorming session. You should know that you can always change the name, but keep in mind that a powerful name does create new opportunities. Why is it so hard to name your startup company? It is hard because there are so many factors to consider. Just like with any task that needs to be done, the hardest step is to start. For a founder, a startup company is his/her child. A newborn that hasn't yet to be named. It has so many potentials and it represents the best values and virtues. It may sound ridiculous, 'cause it is a big responsibility, but naming a company is pretty simple. No startup name generators. The best thing that we can say is don't think about complicated words and focus on the service you provide. No matter how creative (or not creative) person you are, you can always ask for help, your employees, friends, and family. However, choosing the right word isn't always the easiest process and that's why we prepared 3 startup naming traps that you should be aware of. Don't go overboard with the creativity! We suggest you be reasonably creative. This means that you shouldn't spell the words differently than people hear it. If a potential client doesn't know how to spell the company's name or domain, you are in big trouble. Please, for the love of God, don't be so mysterious when you are choosing the name. Some of the names will keep curious people up at night. Not just that, there is no point in naming your company JJkxwyz (even if startup name generators told you so), because it clearly doesn't represent anything. You can't just put all the spices in the dinner you are cooking and hoping it would end up tasteful. It won't! You can't mix the words that you think go well together. Take your time and ask for an opinion. Be careful with the suffixes, as well. The whole story behind the length is that is shouldn't be too long. You want your startup name to be easily pronounced and remembered. The biggest advice we can give you is no more than 2 syllables and up to 10 characters. Why? Just look at Google, Facebook, Tumblr, and Twitter and you'll know why you should stick to this rule. If you are brave enough you can try with the one-syllable name. In founder's head, the domain is something that should raise client's credibility in startup's product and make the service more convincing. The previously stated sentence is the truth, but you shouldn't worry about the domain name. There are so many startups that had different domains than the company names and worked out so well. It is a simple as that. If you don't believe us, check the Joel Gascoigne post on the Buffer Blog and everything will make sense. 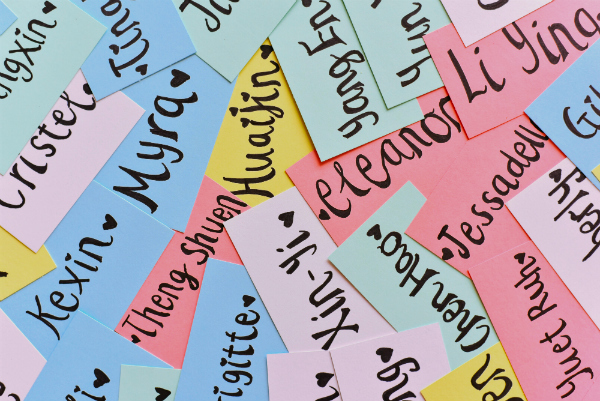 So, how to choose a name for your startup? Get ideas - from your employees, friends or family. 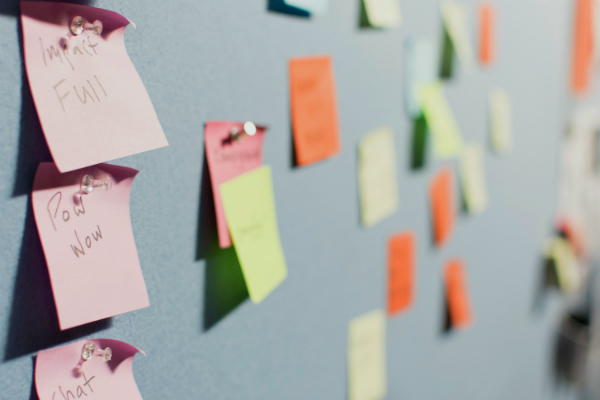 Write keywords - choose keywords from all the stated ideas. Use your imagination (or startup name generators' imagination). Check the availability of the name and name domain. Officially announce The Name (ask your co-workers to make finger drums in the time of the announcement). If you came to this point in the text, that means that we didn't encourage you enough to listen to your heart and the idea will come up. Oh, well, we don't mind. Brand Root has a bit of advantage compared to the others. The first step is to type a keyword and the site offers you a branded version of that keyword. Then, you can choose a business category and list the branded keywords according to their price range. Just like with the previous one, you need to type one or two keywords and it will generate the name. Bonus thing is that it checks domain name availability with GoDaddy. 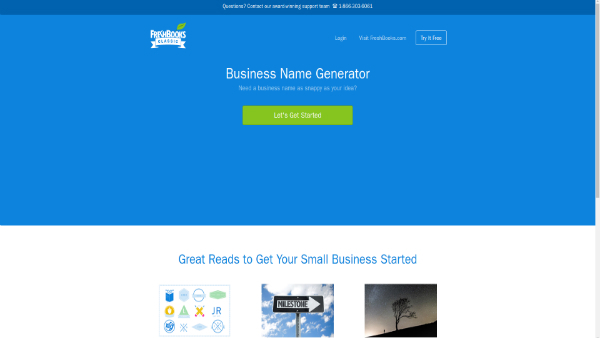 This is one of the startup name generators we really like. For starters, you should type words that describe your business the best, then the benefits and the style of your business. Also, here you can check if the domain name is available. It is important for startup name generators to know your industry. This name generator does exactly that and then goes the whole 'type your keyword' thing. Getsocio is a very simple tool. All you have to do is enter a query, a keyword that you taught of, and it will generate all the alternatives. This startup name generator has one advantage and that is that it can check if the domain is free. Again, all you have to is type keywords and that's pretty much it. 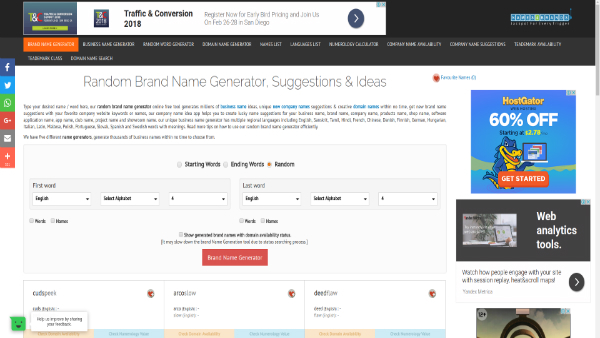 Names 4 Brands is one of the best startup name generators. Not only does it show domain availability and the name, but it also is a name generator that offers you multiple languages. You can generate starting word and an ending word. Basically, the same thing as the last one. The thing with this startup name generators is that you should already have in mind which words you'll use, which can be limiting. 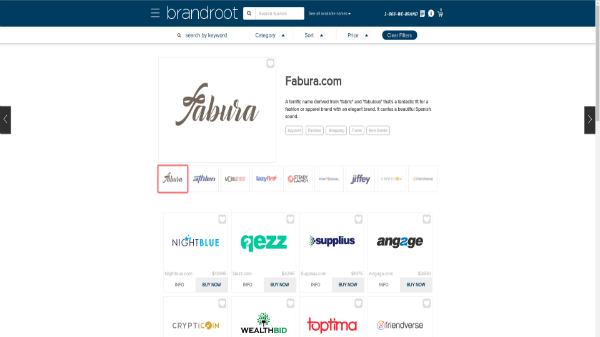 This one is similar to brandroot.com. After typing a few keywords or industry field, the site will generate brand ideas. Panabee's logo is a panda, which immediately caught our eye. 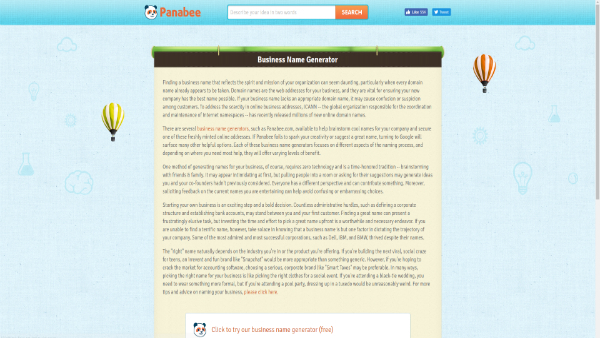 :) However, Panabee is one of the good startup name generators, since it is a collection of startup name generators. Here you can find a company's name, the name of your app, social media and the domain. Naming a startup company is hard. It is almost as hard as when you first fire an employee. Keep in mind that when you are meeting a client, an investor or potential customer, the first thing that'll come out of your mouth is the company's name. It has to sound believable, reliable and powerful. And yes, you can use startup name generators if you want to, but we bet that you already know how to name the company. However, if you are still not sure, check out Julian Shapiro's blog post on thenextweb.com, and you'll find the examples of weak and strong startup names. If you are not in the process of naming your company but are in the process of finding team members, check one of our previous posts - 4 steps that will make your startup team work.